Find out everything you need to know about getting started with email marketing automation so you can better engage with your audience and grow your business. In our latest Content Kitchen video, Guy tackles the question What is email marketing automation and do I need it? He introduces email marketing automation and offers 3 tips for getting started with it in your business. Email marketing automation is a complex subject and you won’t really know if it’s right for your business until you understand more about it and what it can do. So, in this post we share 3 practical examples with results, so you can get an idea of what’s involved. In its simplest form, email marketing means sending email campaigns to your mailing list at times of your choosing. Email marketing automation, however, is led by your audience’s behaviour – they receive emails from you based on links they click or web pages they view. Email marketing could be referred to as ‘push marketing’ because you push your content to your audience according to your own schedule. Marketing automation, on the other hand, could be called ‘pull marketing’ because your audience pulls the content towards themselves by taking some action that triggers the automation. Why is this important? Because it makes your emails highly relevant – they’re delivered when people are already looking for something or interacting with your business. This relevance in turn leads to higher conversion rates and engagement. So, email marketing automation shouldn’t be seen as something completely different to email marketing. Instead, it should be considered an evolution in email marketing; how email marketing is re-inventing itself. Pretty much all email marketing software now offers at least a few automation features so automation is definitely here to stay. Email marketing automation should be considered an evolution in email marketing; how email marketing is re-inventing itself. All the tools you’d expect in traditional email marketing software. This includes creation of one-off emails, email sequences, email templates and merge tags or shortcodes that include personalised information, e.g. first name and email address. This is typically what is delivered to your audience. 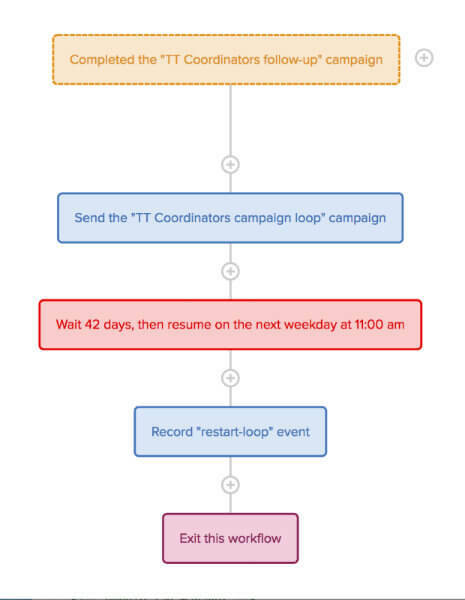 This is the brains of email marketing automation and includes triggers and workflows. Triggers are actions that your audience takes which cause something to happen. Workflows are collections of triggers, emails and decisions that represent the steps in a specific journey your audience is following. This is how your content is delivered to your audience. So, the ‘if’ is the trigger and the X or Y is the action performed based on that trigger. Visited a page: triggered when a subscriber visits the desired web page. Performed a custom event: triggered when a subscriber performs a custom event you specify. Made a purchase: starts a workflow when the subscriber makes a purchase through a payment platform. If you’d like to know more about triggers and see more examples, check out the Drip Triggers knowledge base. To give you an idea of the kinds of things you can do with marketing automation, and how it could benefit your business, we set out below 3 real-life case studies from our work here at Wildheart Media. These examples are only the tip of the iceberg – there’s lots of very cool stuff you can do! But hopefully they’ll give you a little flavour of and better insight into the power of email marketing automation. 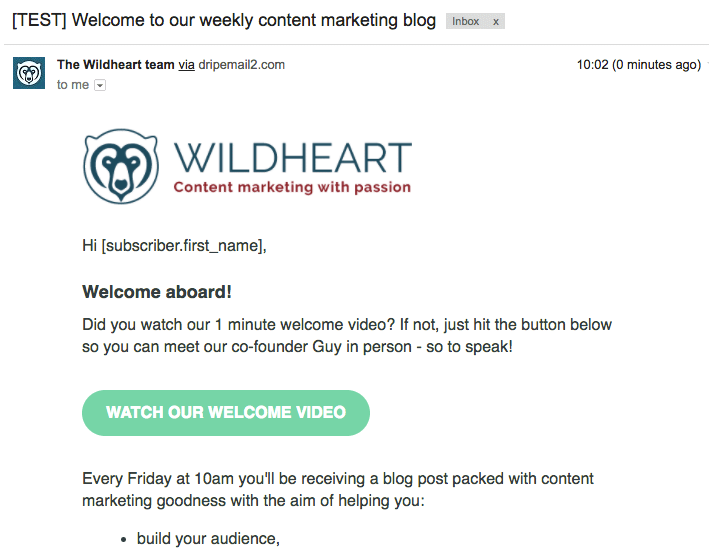 This is a great place to start if you’re new to email marketing automation and involves sending an automatic welcome email to your subscribers when they sign up to your blog. Why do we do this? Because it allows us to set expectations, introduce our categories and give away our lead magnets all in one place. It also enables us to engage with our audience and help them feel valued. The following metrics demonstrate how effective welcome emails can be. 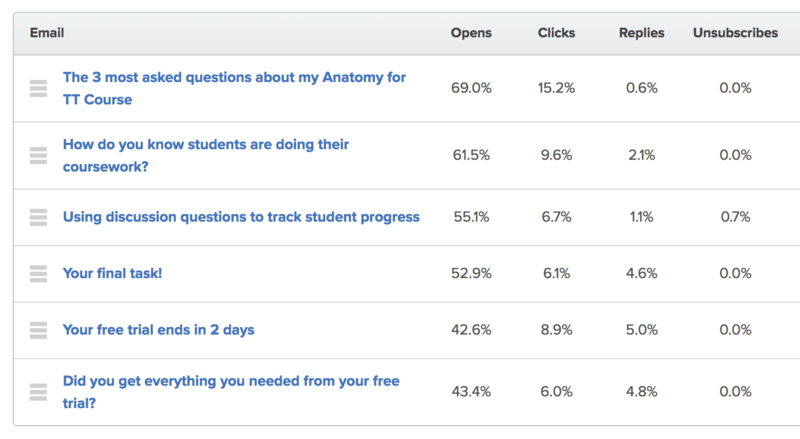 The higher the open and click-through rates, the more relevant your content is for your audience. 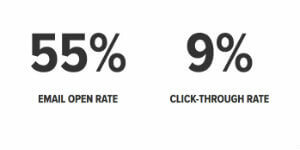 As you can see, the open and click-through rates for both these campaigns are very high, indicating a very good level of audience engagement and proving the value of sending an automated welcome email. This is essential for anyone offering free trials of online courses, digital products or Software as a Service (SAAS). This sequence of lead nurturing emails is aimed at the leads who’ve signed up to your free trial. It’s designed to keep them coming back and, ultimately, encourage them to convert to the full paying product. Notice the increase in replies in the last 3 emails. This means the audience is replying to these emails – exactly the kind of behaviour we want before people make a final buying decision. This is great for getting product suggestions, feedback or testimonials from your audience. This allows you to keep in touch with your existing customers and prompts them to re-engage with your business. Sending a sequence of automated ‘checking in’ emails prompts your existing customers to re-engage with your business. Hopefully these 3 examples have given you some ideas of how you might be able to use email marketing automation to benefit your business and better engage with your audience. Defensive design: This is the most important tip we’ve learned when designing automations. Defensive design means that any break in the logic chain results in a stop, so that no actions get triggered. In most cases it’s better for your audience to receive nothing than to continue receiving incorrect emails until they unsubscribe in frustration. Start simple: This is a rich and complex landscape. Start small and build up slowly over time with lots of testing. Warning: Watch out for dependencies. This means combining automation with manual actions that your team or customer has to take. For example, we had a renewal sequence that relied on a customer being manually tagged in order for them to continue on a workflow. So what would happen if we forgot to tag them? At best the customer would get no emails from us; at worst they’d get an incorrect email saying ’sorry to see you go’. Oops, not great marketing! So, follow our tip on defensive design. Good luck on your email automation journey! If you get stuck, contact us and we’ll let you know how we can help. 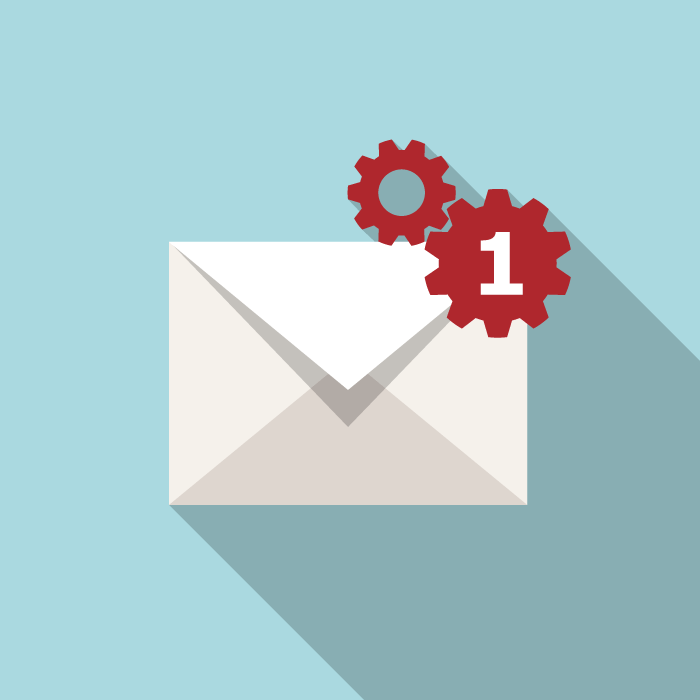 « Content Kitchen 11: What is email marketing automation and do I need it?